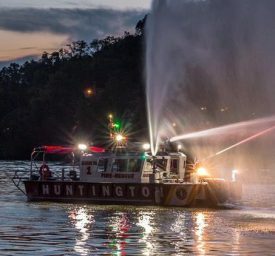 Huntington is the largest metropolitan area in West Virginia, with a busy waterfront along the Ohio River that is home to commercial, industrial and recreational assets, all of which need fire protection. 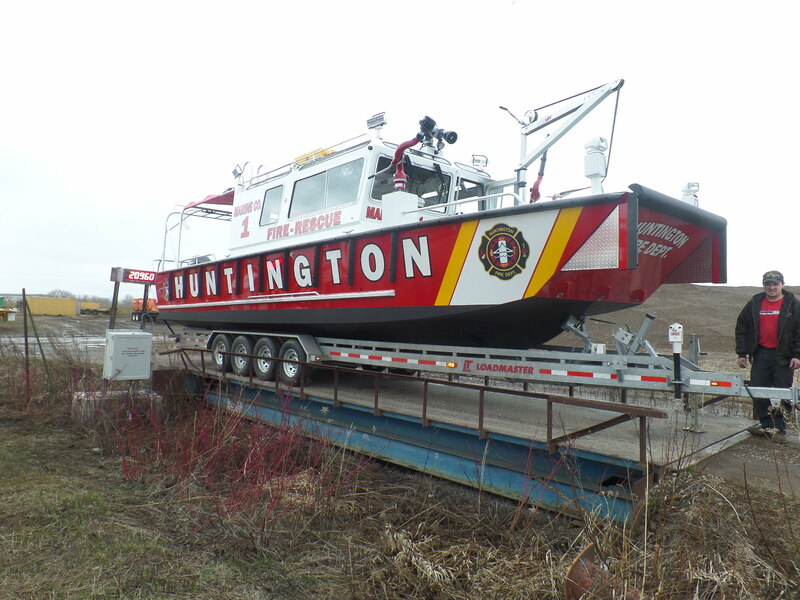 When the 100-firefighter, six-station Huntington Fire Department determined that the city and the surrounding region needed a state-of-the-art fire and rescue boat, Lake Assault Boats worked with a team from the department to design and produce a 36-foot, 10.5-foot wide vessel. 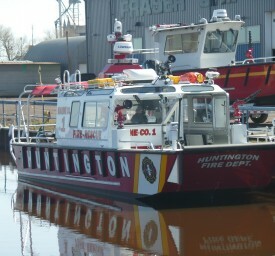 It is the largest fire boat that Lake Assault has built and was financed with a $569,000 federal grant. 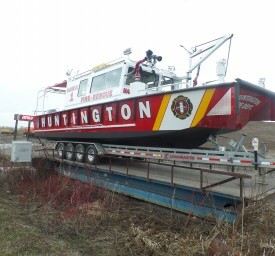 The boat is built in landing-craft style and a similar to the boat Lake Assault later built for Clinton, IA. 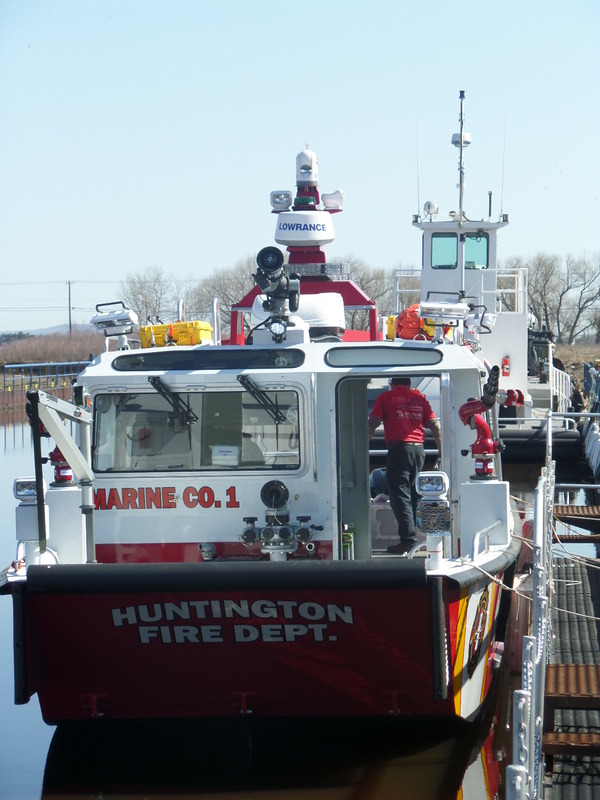 Huntington’s boat is equipped with a bow thruster and twin 300-horsepower Mercury Verado outboard engines. 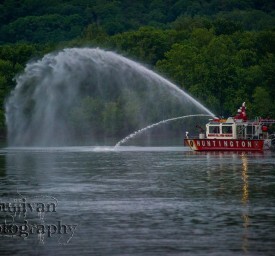 It is capable of pumping 1,500 gallons of water per minute. 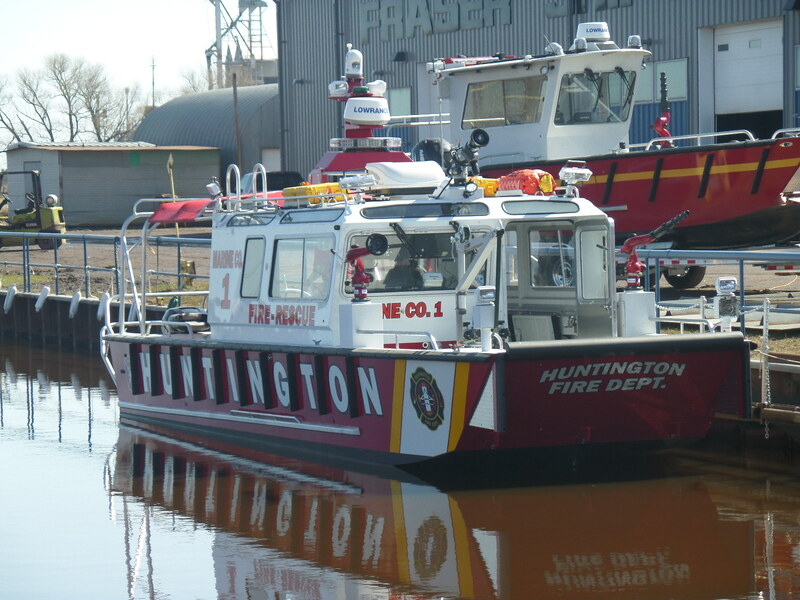 It also is outfitted with a special Cascade Air System to protect firefighters from smoke, chemical emissions or other dangers while fighting fires. 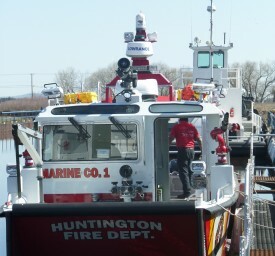 The boat patrols 64 miles of the Ohio River between the Robert C. Byrd Locks and Dam near Gallipolis Ferry, WV, and the Greenup Locks and Dam near Greenup, KY.
"We have the ability to serve this waterway. 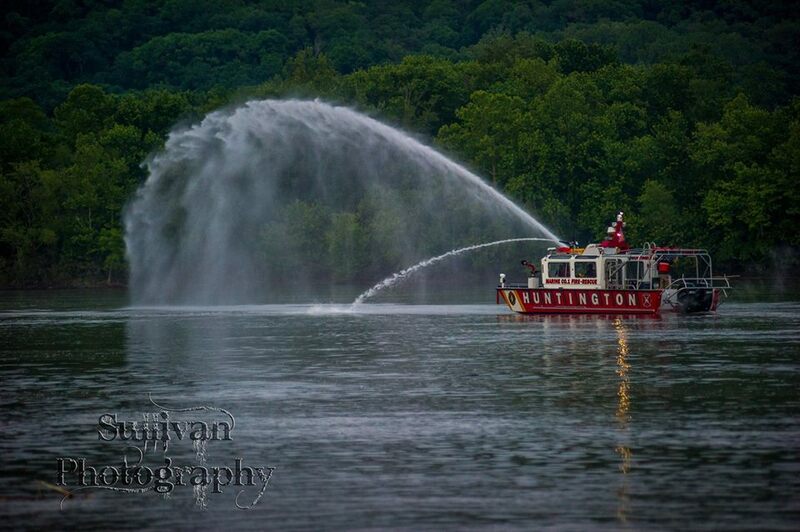 This was not possible before."